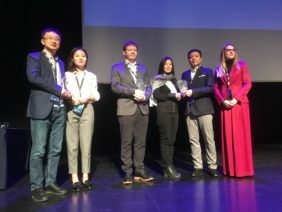 The ISOCARP Awards for Excellence (AfE), rewarding urban and regional plans in design phase as well as projects in progress or already implemented, were bestowed for the 12th time on October 3, 2018 during the annual ISOCARP conference held in Bodø, Norway. This year, a record number of 17 entries were evaluated by five experienced professional planners, who decided to award the following two projects as Grand Award Winners, as well as additional three projects as Merit Award Winners. Four out of five awarded teams came to Bodø to present their project to the congress audience. For more information on the projects click here. The International Society of City and Region Planners (ISOCARP) is a non-governmental organisation, with consultative status at UNESCO, recognised by the United Nations and the Council of Europe. It is a global professional association, founded in 1965 with the vision of reuniting the most recognised and experienced city and regional planners around the globe in a network that allows for extending their experiences and knowledge. It has members in more than 80 countries.